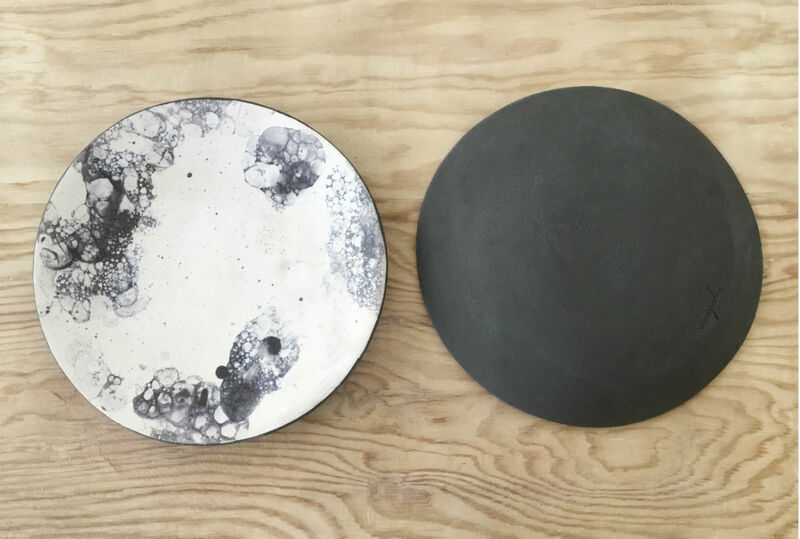 For Athens-based ceramicist Maru Meleniou, making ceramic objects and tableware is part of her overall interest in combining the mindfulness of the traditional Japanese way of life with the western ways she grew up into. 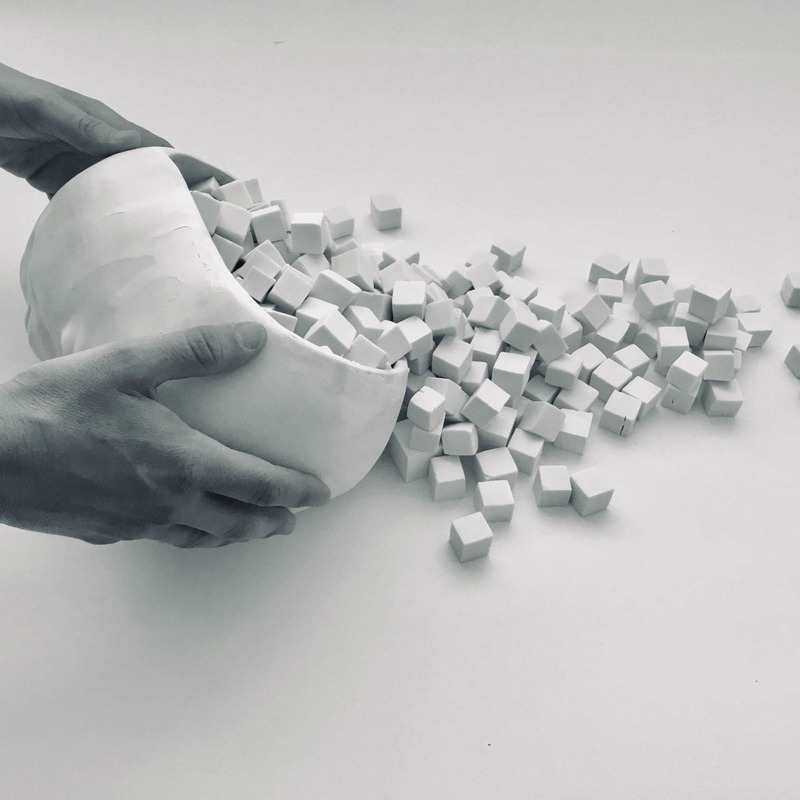 Originally coming from an applied arts background, Maru discovered the art of ceramics some 20 years ago and got completely enamoured with the pace and intent of its processes and materials. Her work includes mostly stoneware meant to be used with food, but she also creates small sculptural objects, unusual vessels of all sorts and some ingenious conical pots standing on matching tall bases. 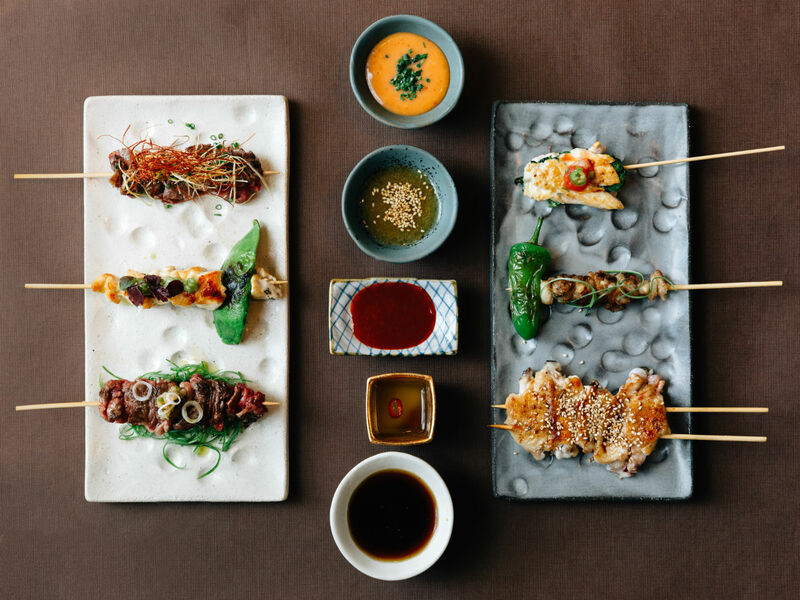 A big part of Maru’s work is her collaboration with local chefs in creating special containers and tableware that elevate the consumption and sharing of food into a multi-sensory experience — like for example the exclusive ceramics she created in collaboration with Ari Vezene for his Greek-inspired bistro Vezené in Athens and his latest project, the Japanese pub Birdman near Syntagma. 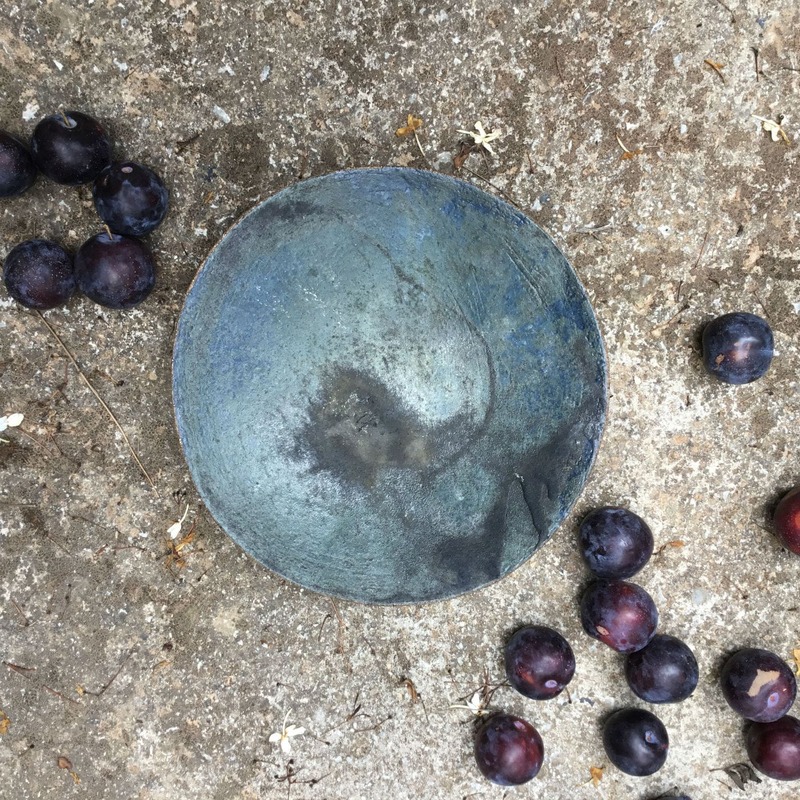 In the following interview, Maru explains more about her creative process, her experience from learning the ways of bizen ware in Japan and her ideas about the relationship between food and ceramics. When did you start working with ceramics and what made you choose this profession? I’m coming from the applied arts. I began making ceramics in 2000 and it was love at first sight. At that time I was going through a difficult family situation and ceramics were for me a concentration practice, my meditation. In order to love ceramics you must love its process, the solitude, repetition, its transformative nature. So I can’t say whether I chose it or it chose me, but we are a match. 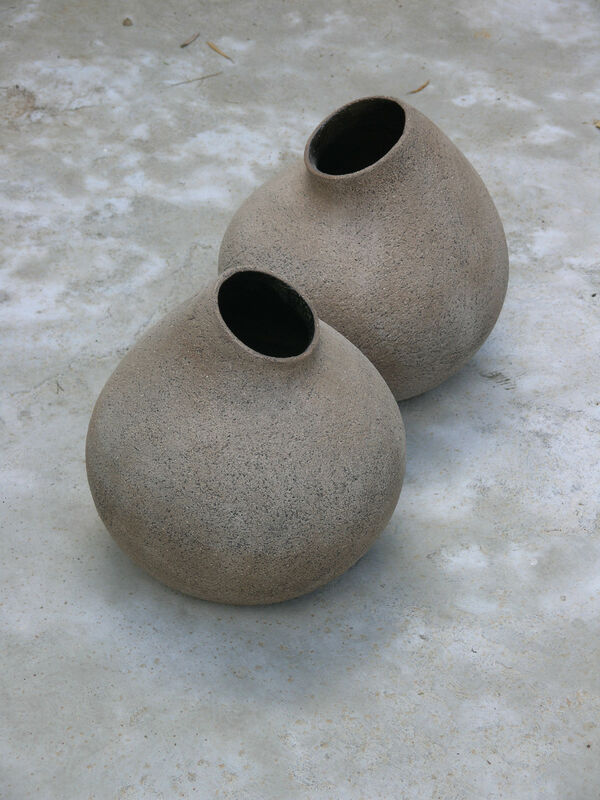 Ceramics is to a great extent an unpredictable art. What materials do you use? Do you like experimenting? Indeed! There are times when I avoid opening the kiln, and no matter how controlled the work I have put inside is, I always worry a bit. On the other hand, the satisfaction when everything goes well or even when something unique comes out of an experiment is really great. I usually work with stoneware and my glazing is usually from unprocessed, natural materials. What was your experience in Japan like and what did you do there exactly? In Japan there are two different worlds: the traditional and the contemporary. The Japan I was exposed to is the traditional one. It was as if I had landed on a different planet: it had nothing to do with what I had imagined, and nothing to do with what I was at the time. It was difficult at first, and that changed me over time. As for the ceramics I did there, we made bizen ware, and we all had to do everything: we mixed our own clay, built our own kilns, we organised festivals to make our objects available to the public. It was a great experience that has defined me. What is the value of the handmade for the Japanese, and how does it relate to the wabi sabi philosophy? The value for handmade things was born out of the tea ceremony, which was in turn influenced by Zen Buddhism. It’s a bit of a paradox trying to explain with logic what wabi sabi is, because it’s something you have to have a sense of. That said, wabi sabi and Zen Buddhism share some common values, like the beauty found in the imperfect, the impermanent and the incomplete. The first tea masters were Zen monks, and the objects they used were of their own personal preference: simple objects, earthy, humble and unconventional. All that gradually spread beyond the tea room and into Japanese everyday life. So today it can be seen in the way they serve food, arrange flowers in a vase or illuminate a room. Is there a similar love for handmade everyday things in Greece? I can’t say I can recollect something similar in the way I grew up. In recent years design in Greece is blooming. 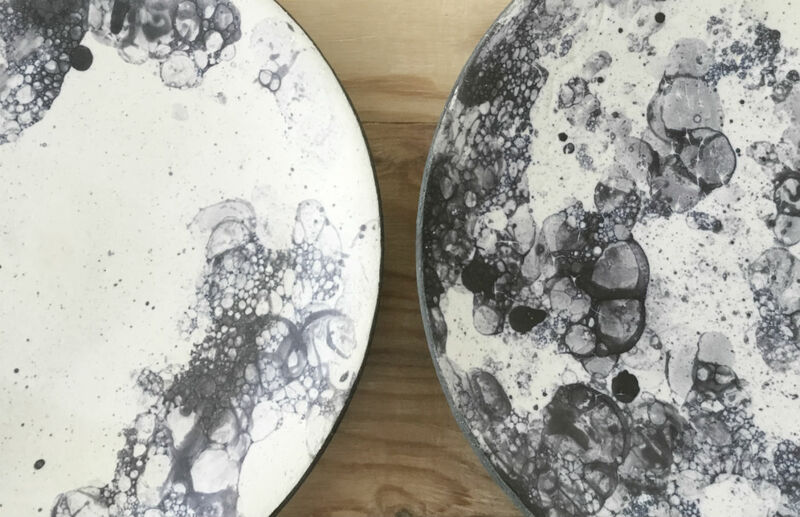 There’s a new generation of creatives in various fields who give us unique handmade creations, make us to rethink what beauty is and create the desire to include beautiful objects in our everyday life. I feel that more and more people is eschewing the dominating “mass, commercial aesthetic”. People are looking for unique, handmade objects from smaller studios. The essence of tradition is repetition, so perhaps sooner or later this attitude will become the norm — just like the sterile aesthetic of fake perfection became the norm a few years ago. How did you start working with Greek chefs and how do you participate in their projects exactly? What is the process you follow when you collaborate with them? As I mentioned earlier, my experience in Japan has influenced me a lot. When I came back to Greece I started woking on tableware design, trying to introduce the principles of the art of the everyday into my own daily life first and the western way of life. I began noticing my choices: which plate was I using to serve each dish or how to set the table and how all that affected my experience of food overall. That got some very good response from my friends, so one thing led to the next. Meanwhile, gastronomy in Greece was entering a new phase, so it was only a matter of time before I met some chefs working in Greece. My collaboration with them is a part of my work that I particularly enjoy. It’s a very creative and personal process that is new and different every time. Tell us a few things about how do you see the relationship between vessel and food. How does the container affect the experience of the food? Making decisions about which container you will use for your main course, your salad or your soup, and how you will set the table requires first that you slow down: you need to begin observing, to become more conscious before you even start eating. 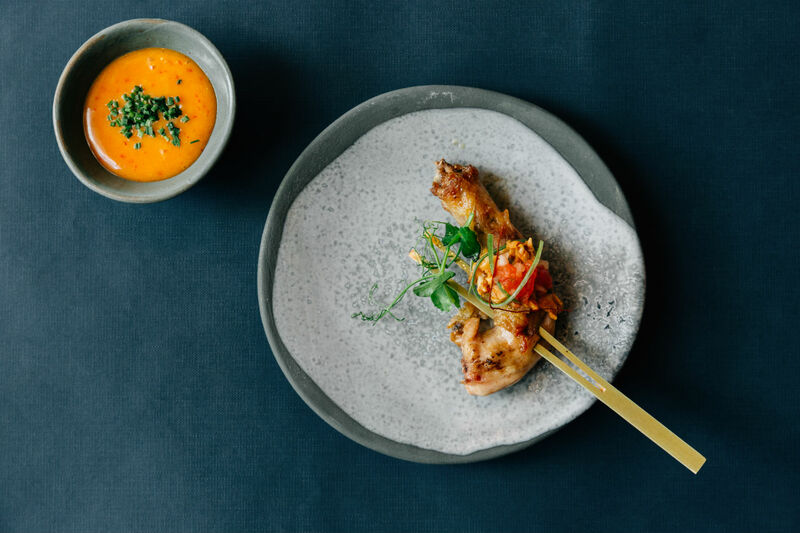 You create the space for an experience that doesn’t only include taste but all the senses, it’s a more mindful way of consuming food. Exclusive tableware by Maru Meleniou for Ari Vezene's Birdman Japanese Pub. Photo by Paris Tavitian.